On the morning of Nov. 9, Phillip Vogt got a phone call. The person on the other end said he wouldn’t be able to make their appointment at Mr. Vogt’s home because the roads leading there were blocked by California Highway Patrol. It was then that Mr. Vogt looked out his window: The hillsides surrounding his home had been consumed by a wildfire moving at breakneck speed. It took Mr. Vogt 15 minutes to pack a few belongings into his white Prius, but by then it was too late. Nearby homes were ablaze. “There was no way of escaping,” he said. For a time he used a hose to extinguish the burning embers raining down, but he was eventually overtaken by flames that disintegrated a section of the hose and burned his hand, arm and eyes. “I relived our wedding on the property, the good times, the tough times, what he was going through and what I would find after returning,” she said. Living there is ‘somewhat depressing,’ said Mr. Vogt, adding that he still has nightmares. The next day, Mr. Vogt emerged with minor burns. His house—the only home in the Malibu neighborhood left standing—sustained a little smoke damage. In addition to amenities like an ocean view and wine library, the five-bedroom, Spanish-style house was built with every feasible fire-safe feature Mr. Vogt could think of, including concrete-and-steel walls, rooftop ember guards and heat-resistant windows. The hose he had used in the fire is 1,000 feet long, supplied by tanks holding 50,000 gallons of water. Mr. Vogt stands at the vanguard of a movement toward making homes more fire safe in the West’s increasingly combustible wild lands. A triple whammy of rising temperatures, overgrown forests and rampant development in wooded areas has created what local officials call an unprecedented fire threat to communities. Last November, the Woolsey Fire combined with the Camp Fire in the northern part of the state destroyed about 20,000 homes and other structures at a cost of between $15 billion to $19 billion, according to data provider CoreLogic. The dramatic increase in big fires—15 of the 20 most destructive on record in California have occurred since 2000—has prompted calls by state and federal officials to increase thinning of forest areas. It has also triggered action to address another factor behind the growing property damage: the vulnerability of homes themselves, such as by being situated too close to vegetation and by being constructed from too many flammable materials like wood. In the immediate aftermath of the fires, Mr. Vogt’s home was surrounded by dark ash. ‘Many years of natural growth destroyed within hours,’ he said. Over the past 20 years, communities and counties have adopted voluntary building guidelines for new homes to make them more fire resistant, while they have been mandated in certain other places like Deschutes County, Ore. and statewide in Washington and California. Among other things, the California building measures adopted in 2007 require new homes in high-fire areas to be equipped with guards or other protection over rooftop openings to resist blowing embers—one of the biggest threats to structures in a wildfire. Some places go beyond those requirements. In north San Diego County, the Rancho Santa Fe Fire Protection District has adopted requirements above the state fire code that includes more fire-resistant landscaping and construction materials. The district conducts weed-abatement inspections to make sure vegetation is trimmed back from structures and roadways, said Marlene Donner, fire marshal in a district of 33,000 people. The district, like many others, pushes for no vegetation within 5 feet of a home and 50 feet to 100 feet of so-called “defensible” space around it. The measures paid off: A 2014 wildfire swept through and threatened 50 homes, but none was lost, she said. ‘I built for the worst-case scenario, but I had no idea that it would be tested so soon,’ said Mr. Vogt, who has a wife and two children. Mr. Vogt’s home is in a rural section of Malibu, near where his wife works and where his children go to school. The most important part of fireproofing is the home itself. 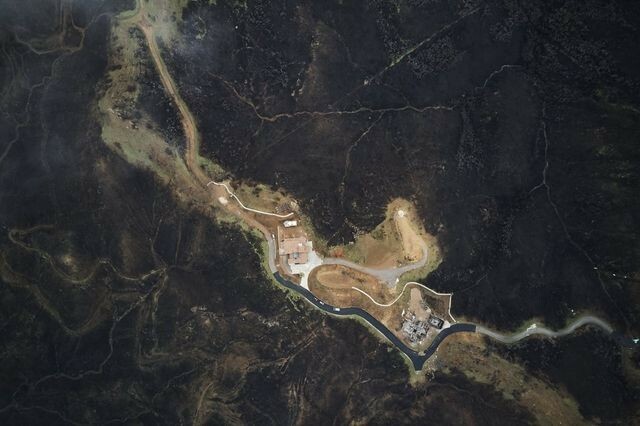 “The home is the target—you do not want your house to catch on fire,” said Marti Witter, a fire ecologist with the Santa Monica Mountains National Recreation Area, which abuts Mr. Vogt’s property. Mr. Vogt’s two-story home is in a rural section of Malibu, near where his wife works and where his two children go to school. Among other reasons he and his wife fell in love with the property was its seclusion and vantage point overlooking the Pacific. 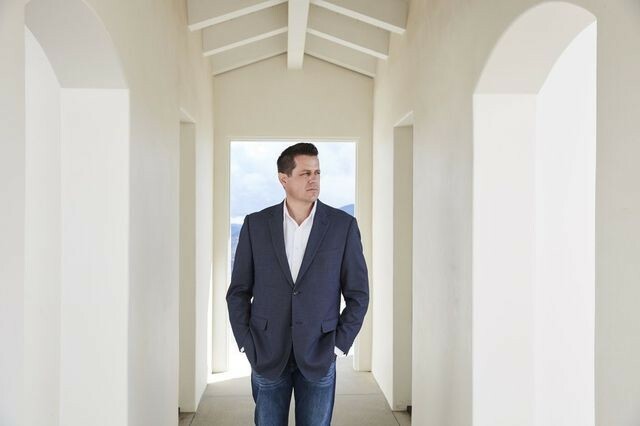 In his research before buying the property, Mr. Vogt learned that it was in one of the most fire-prone areas of Southern California—atop a ridge in mountains choked with flammable chaparral. A native Californian, Mr. Vogt said he has long been interested in being less reliant on local utility companies and governmental agencies during an emergency. He said that is why he considered it a “must” to employ fireproof techniques. “I think friends and family thought I was more or less planning for the zombie apocalypse,” he said. He designed the Spanish-style roof with fire-retardant materials. Thickened roof sheeting is covered by a fire-rated underlayment, which doesn’t allow burning embers to penetrate. That is then covered by two-piece clay tile that has concrete in-between, which helps secure the tiles from high winds and helps further prevent burning embers from entering. 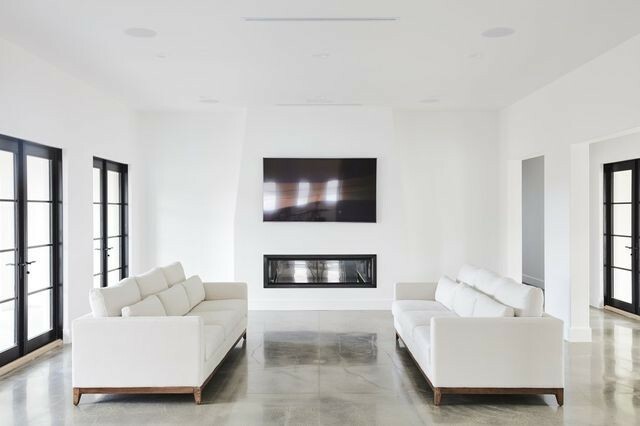 Mr. Vogt used a high performance stucco as an extra barrier around the walls and, wherever possible, replaced wood with nonflammable materials. 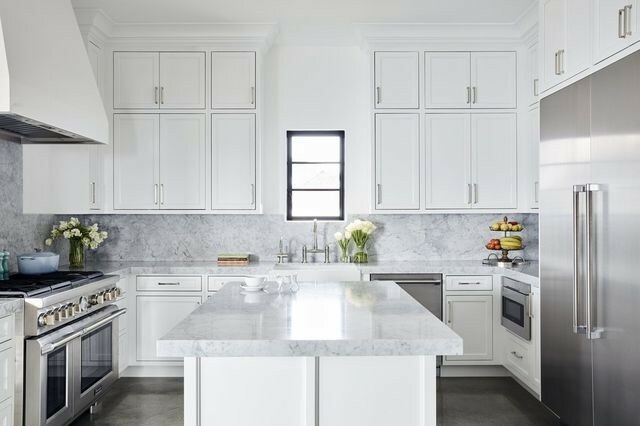 For example, he used fibrous cement board instead of wood for the eaves. 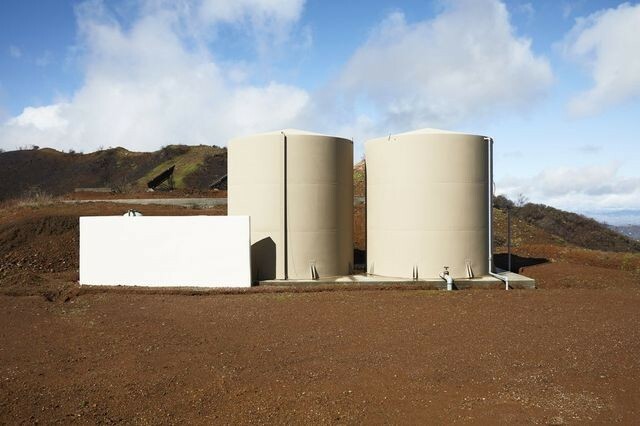 The fire safe features included concrete-and-steel walls, rooftop ember guards, heat resistant windows and a 1,000-foot-long hose supplied by these tanks, which along with others on the property hold 50,000 gallons of water. As an added safeguard, Mr. Vogt stockpiled 50,000 gallons of water on the property, with pumps powered by a solar, battery and liquid-gas power system so they, like other devices, would continue running when the rest of the power goes out. 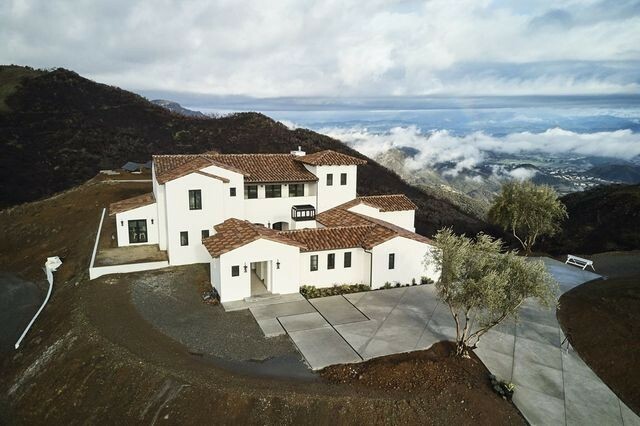 Construction was completed in the fourth quarter of 2018; he was still working on finishing touches like landscaping when the Woolsey Fire hit. In all, Mr. Vogt figures the added fire and other safety measures increased the $3 million in construction costs of his home by about 20%. Before the fire, the home was valued at over $5 million, according to Mr. Vogt’s bank appraiser. A study released in November by Headwaters Economics and the Insurance Institute for Business and Home Safety found that adding fire resistance added negligible cost differences to the building of a smaller, three-bedroom home. Some scars from the fire remain. Mr. Vogt assumes his property values have fallen, particularly as it will take years for the vegetation to return to what it once was.Mohamed Hassan, managing broker with Viceroy Realty in Woodland Hills, Calif., said values often fall after a fire, partly due to traumatized residents wanting to leave. In the end, though, Mr. Vogt can be thankful. Despite all of his preparations, he wasn’t sure how the home would hold up. The post The Malibu House That Was Prepared for One of the State’s Worst Wildfires appeared first on Real Estate News & Insights | realtor.com®.